Each month we offer a variety of Workshops. Join us to Release Your Creative Soul! Select a scheduled Workshop from our Calendar or gather your friends and schedule a PRIVATE SIP & SPiTShop date that works for your group! This beginner Unicorn SPiTShop includes a product overview and is a “technique sampling” where you’ll discover the true versatility of this product. 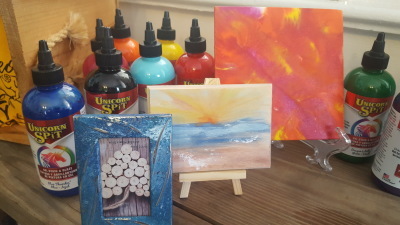 You’ll create three different small, simple projects while learning three different techniques on three different surfaces. Discover the abstract look of the Stain Press Technique using only Unicorn SPiT and a piece of plastic. You'll apply this technique to three different project surfaces generating unique artistic results on each. It's adult finger painting time! 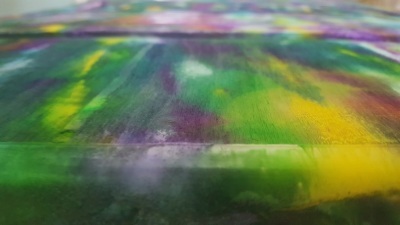 The Side to Side Aura technique gives a more traditional stained appearance while adding layers and depth of color throughout your piece. 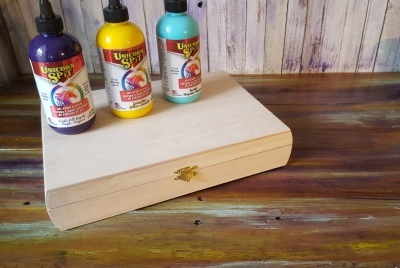 Best results when applied to wood surfaces, you'll blend three colors of Unicorn SPiT onto a wooden box using your hands and handy wipes! 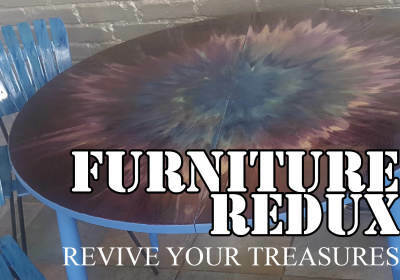 Learn to revive your own furniture at this hands-on a multi-media furniture refinishing workshop featuring Unicorn SPiT Gel Stain & Glaze. You'll bring your own small piece to upcycle. It's all in your hands! The Aura Burst technique is created using Unicorn SPiT, a little water and the palm of your hand...it's all about the burst! 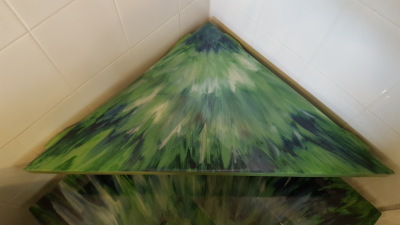 Choice of wood arch or canvas triangle. 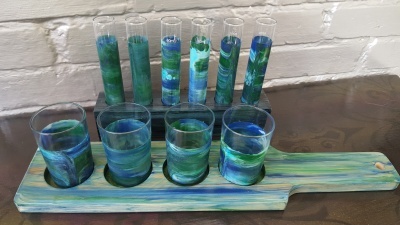 Give your barware a unique flare using the vibrant colors of Unicorn SPiT... creating your own functional art... BEER or TOOTER FLIGHTS. Each set made with real glass and wood base.